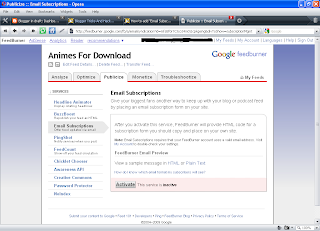 How to add email subscription form in your blog? Follow these steps and it will be very easy. Step-2. 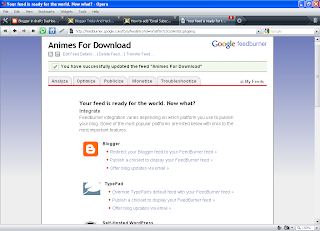 Mark in second feed for blogspot.com bloggers because rss feed is default feed. 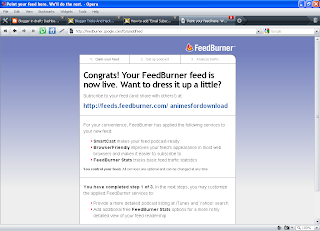 Click next you will see page-3 as in image-3. 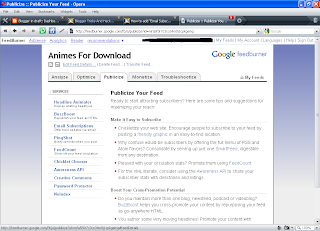 Step-3.Check all content is correct as given in image-3 below in your form. Step-4. In 4th step you will see as image in 4. Step-5. 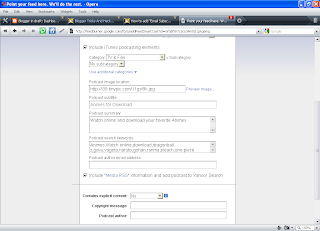 Step five is only for those who are podcaster,you can skip this step.But if you want you can fill all information about your site as shown in image-5. Step-6. You can click all items but leave blank if you not want these. Step-7. 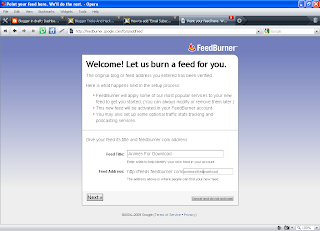 This is final step of your adding site in feedburner.Here you will see congtatulation about adding you site is done. Step-8. 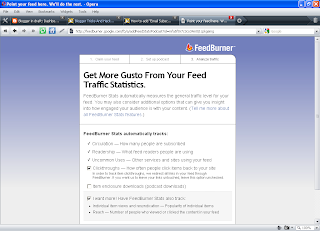 From here your fist step start to get Email subscription code for you blog or site.Look at above bar you will see Publicize click this. 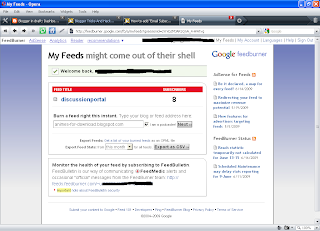 In the next page you will see Email Subscription in left-side click it. Step-9. When you click Email Subscription at next page you will see Activate button,at default this service is inactive,activate it by clicking at activate button. Step-10. 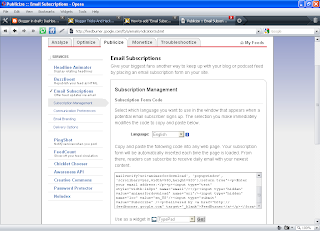 At final step you will see the page containing Subscription form code below subscription Management. 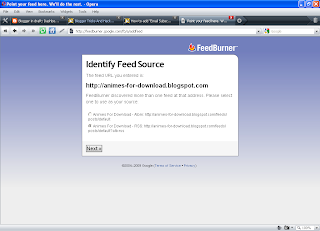 Copy and paste this code in your blog or site where you want this form to appear.